Amnesia is the loss of memory. Selective amnesia, in common conversation, is the perceived intentional refusal to remember certain things – to block things or simply not acknowledge the memory of them. 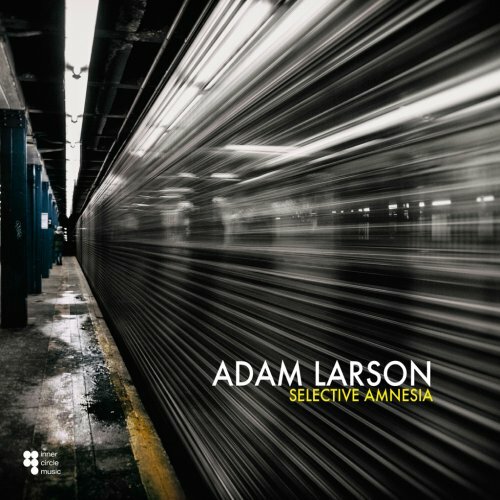 For his album, Selective Amnesia (Inner Circle Music, 2015), saxophonist Adam Larson documents his musical growth over the past three years. Fast forward to today when I get to experience this album, Fifty Shades, by Rodney Foster, Sr. From the easy swaying cha cha of “Bali” to the 5/4 bass tempo of “Fifty Shades” I am reminded of those first early days when I fell in love with that smooth jazz groove. The slow and mellow,” Tunisia” is so popular that Rodney almost made it the album’s title. I have it on good authority that Rodney’s gift of producing outstanding smooth jazz tracks comes from over 40 years of honing his craft. I watch him constantly listening and re-mixing and refining and selecting just the perfect components to go into each track. He makes it seem easy but it takes hundreds of hours to capture just the right feel and make one feel that they are experiencing a live concert. Day in and day out, Rodney is in his studio creating or refining what he has already done. I feel honored and fortunate to get to enjoy this new album, “Fifty Shades” by Rodney Foster,Sr. Get the album now at CDBaby. British born sax-man Carl Stanley has released his debut CD in 2012, titled A Beautiful Thing. This collection of twelve self penned contemporary jazz pieces is offering guest performances from guitarist Dwight Sills, keyboard player Oli Silk and vocalist Gianna. A merge of jazz with R & B. His new album Dreamers is an instrumental saxophone music influenced by jazz, soul, R&B and artists such as George Duke, Kirk Whalum, Boney James, David Sanborn and many more. This album is available at CDBaby. 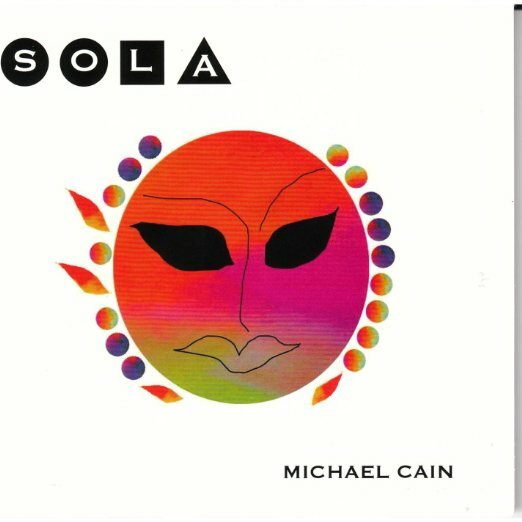 Michael Cain challenges audiences to presume to know what style he’s going to play. Having a career that has led him to perform with an array of diverse artists gives him an expansive chest of material to pursue. And so he does with Sola (2015), his 10th album as a leader. Cain plays keyboards and handles programming. He’s accompanied by two ensembles. The Vegas band, which appears on six tracks, consists of Renaldo Elliot, drums; Abo Gumroyan, bass; Mike Gonzale, trumpet; Julian Tanaka, clarinet; and Eddie Rich, saxophone. The New York band, two tracks, is a trio with Cain on piano and keys; Billy Hart, drums; and James Genus, bass. The opening track, “Orun,” is a brief soundscape. Elliot starts things off with a workout on the kit. About a minute into it, the other musicians come in. The horns and bass provide a steady backdrop, while Cain improvises. The title is from the Yoruba word for “sun.” Cain calls it a welcoming song, asking for blessing and giving thanks. Italian guitarist Andrea Razzauti makes his Woodward Avenue Records debut with this June, 2013 release. Produced by double Grammy winner Paul Brown with feature contributions from Darren Rahn and Patti Austin. Andrea’s father (gifted in his own right) presented him with his first guitar when he was only 9 years old; by 11, he was playing in a local band and in his early teens performing professionally. Opening for many well-known popular bands, he received high-praise and an exalted notoriety for a variety of musical styles, ranging from traditional classical Italian to R&B and pop/rock. His fans followed him to many of the most prominent Italian (and European) venues. While continuing as a featured recording artist, it was inevitable that he would ultimately turn to jazz. He studied such masters as Villalobos, Wes Montgomery, Toninho Horta and George Benson. In the 80’s, his artistic interests and musical abilities reached an even greater level of sophistication. Recognizing an indefinable affinity between the classical and jazz guitar, he successfully connected the two. Andrea’s passion and fervor translated into an even deeper dedication to his musical compositions. In the 90’s he composed, arranged and produced his first release Blu Oltremare, a captivatingly seamless blend of classic, Brazilian and jazz, and now he is poised to release his Woodward Avenue debut album Front Street to U.S. audiences. Now also available at CDBaby. A group of young, twenty-something musicians serving up an infectious, high-energy blend of jazz, funk and pop, spiced up with violin and a dash of vocals. Love is the Peet Project‘s fourth studio album, featuring 10 original compositions and one radio edit. Regarded by band members as their most complex work to date, the recording showcases more energy, more vocals and a host of styles that best fit the band: funky, soul and pop mingled with vintage stylistic flavors reminiscent of 70s and 80s music. The lyrics on the album are themed around the various dimensions of love associated with the body, the mind and the soul. Love is on sale at Amazon.com. The German group Dancing Fantasy consists of keyboardist duo Chris Williams and Curtis McLaw. During a recording in the studio 1 Innovative Communication’s president Mark Sakautzky heard their sound and directly offered them a contract. This was the start of Dancing Fantasy on the label IC Digit. Their debut album was Midnight Blvd. (1990), followed by California Grooves (1991), Moonlight Reflections (1992), Worldwide (1993), their first concept album, Day Dream (1995), and Love Letters (1997). With Dancing Fantasy they released one album on Higher Octave in 1999 and with Soundscapes a follow-up on 1201 Music in 2001. After a long hiatus Dancing Fantasy returns with Back Home (2015). Motivated by a lot of fan mail asking for a new album the duo continued to work and here it is! The starting Again and Again immediately clarifies that the formation doesn’t change their popular style. With a dreamy synth groove the group allures their fan community.